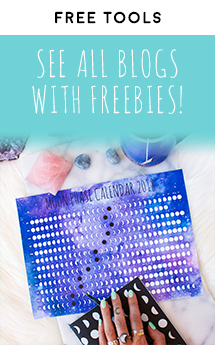 Every February, we’re reminded of the love that already exists within us. 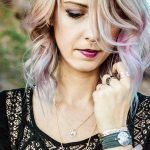 While there are so many different kinds of love in our lives, it all starts with us: from a place of deep self-love. 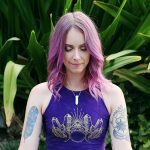 In this blog, I’ll be sharing a heart-opening yoga practice and a Kundalini breathwork meditation to help you cultivate self-love. 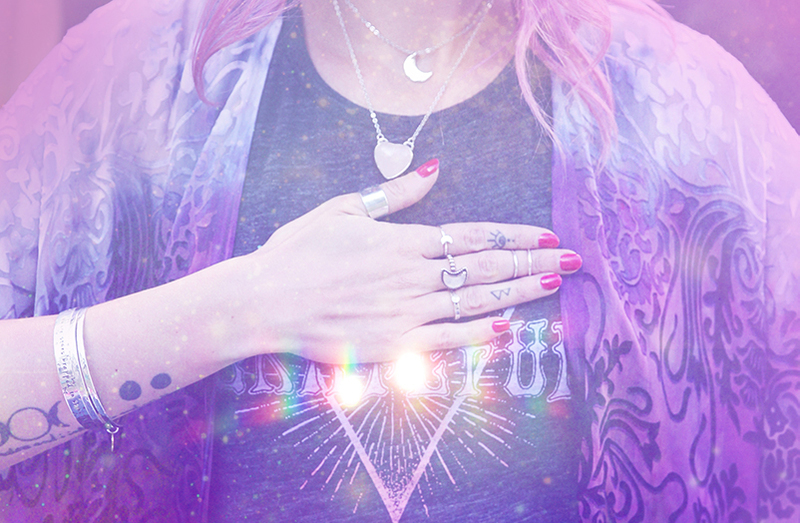 This Kundalini yoga breathwork meditation is said to help give strength to your heart and open up your heart center. Find a comfortable seat and extend your arms straight out in front of you. 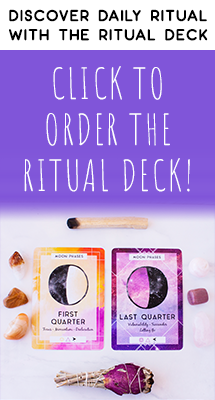 You want them to be parallel to the mat with your palms facing down. Close your eyes and focus your inner gaze at the center of your chin. Start to take long, slow, deep breaths, holding your arms steady in front of you. Hold this breathwork meditation for three minutes. Then, move into our asana practice below. 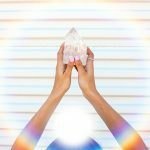 This yoga practice is focused on heart-opening yoga poses because heart openers, like the name suggests, help balance and open your heart chakra. 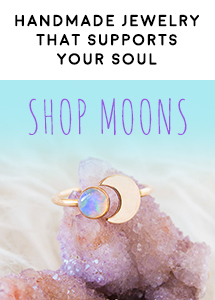 Your heart chakra is the center of giving and receiving love in your body. 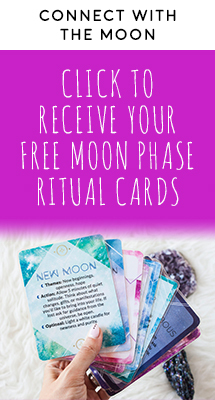 Opening this center helps open you up to a flow of unconditional love within and outside of yourself. 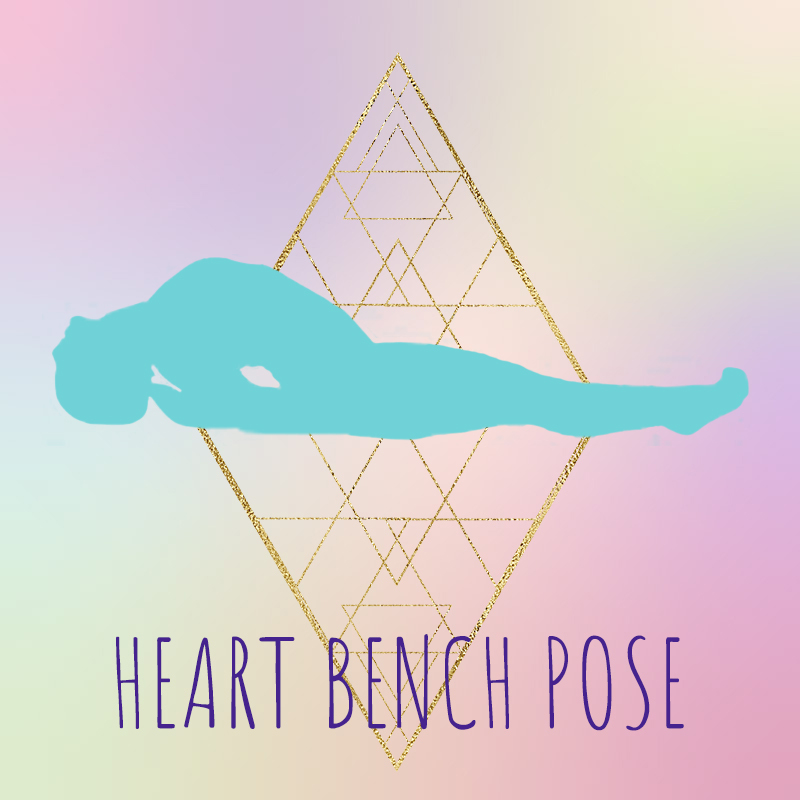 As someone with chronically tight shoulders, heart bench is my favorite restorative pose to start off a yoga practice. For this pose, you’ll need two yoga blocks. 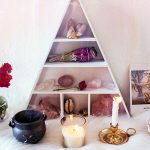 If you don’t have blocks, try getting creative with stacks of books or a rolled yoga mat under the shoulders. 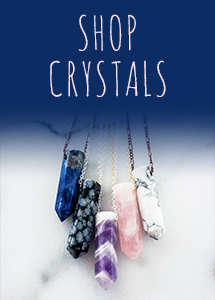 You’ll take your first block at either its low or medium height and place it lengthwise along the spine between the shoulder blades, opening the heart. The second block will go under your head at whatever height supports a long neck and open throat. 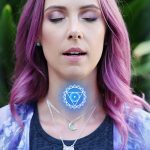 Breathe into your heart space here, visualizing each inhale sending breath into the chest and each exhale softening, opening, and expanding your heart chakra. Stay here for 3-5 minutes, breathing deeply. To transition out of your heart bench, lower all the way onto your back, bend your knees, and press your whole back into your mat. Feel your whole back grounding into the Earth, resetting the spine. When you feel ready, cross your right ankle over the bottom of the left thigh (right under the knee). 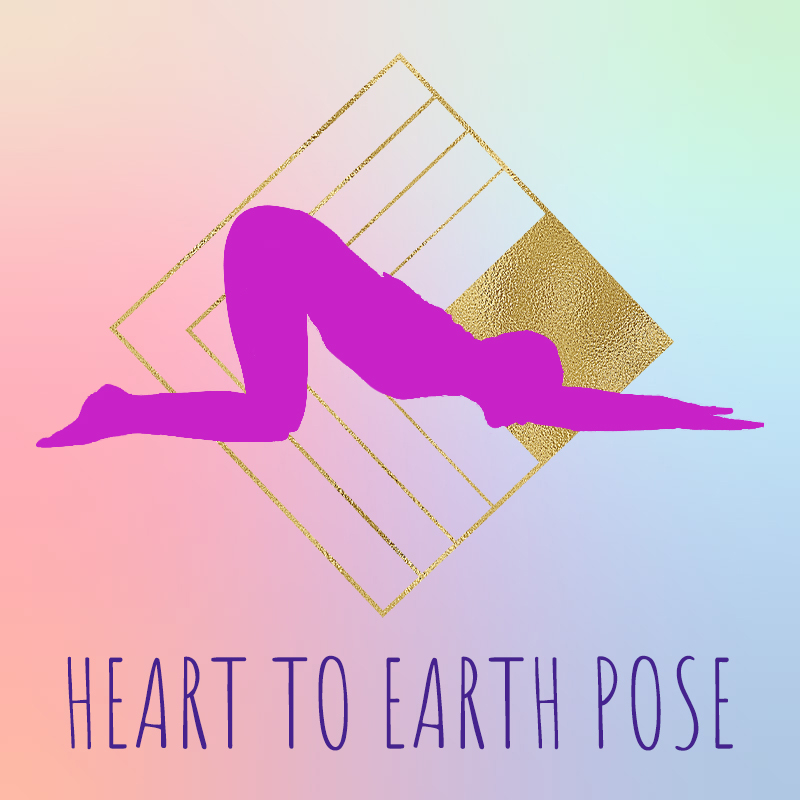 Then prop yourself up on your forearms and roll the shoulders back to open the heart as you energetically push your right knee away from you, stretching the hips. Spend a minute or two here, breathing deeply into the heart center, and then repeat on the other side. Slowly find your way to downward facing dog and pedal out the feet. When you feel ready, inhale to step your left leg forward. Lower the knee onto mat or blanket, and create enough space in the hips so that you can really feel a stretch into your right hip flexor. 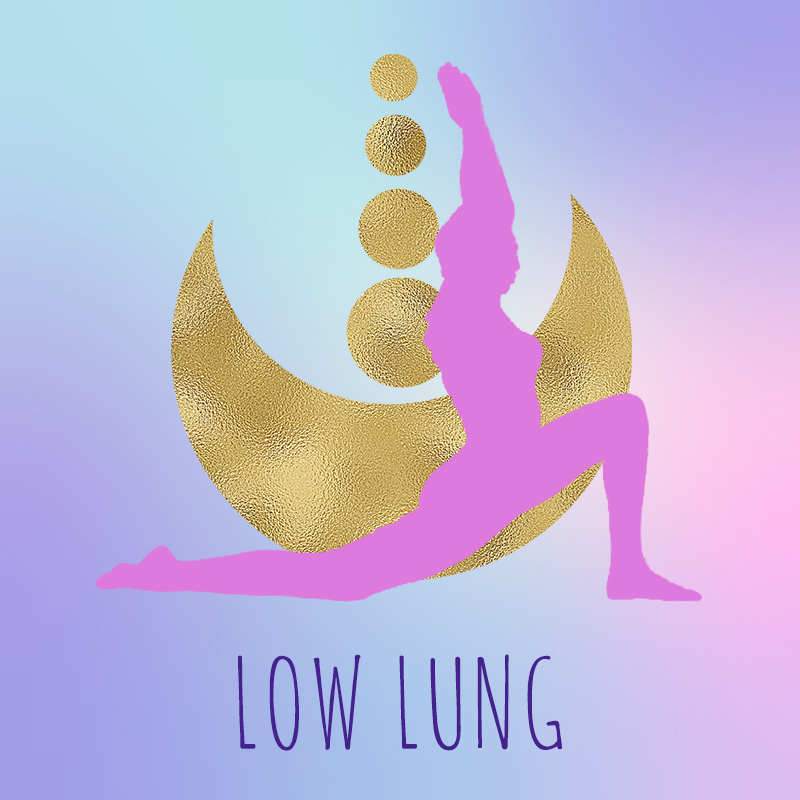 Inhale to lift the arms over head, bending back into a crescent lunge. After a few breaths with this arm variation, stack your palms over your heart and breathe into your hands, keeping your back bending. Stay here for ten more breaths, then repeat on the other side. From your lunge, step the back leg forward into a forward fold at the top of your mat. Hold opposite elbows to help pull your chest to your thighs and find a few breaths here. When you feel complete, release your arms and inhale to a flat back, palms to shins or thighs. Exhale to fold forward. Inhale to roll all the way up to stand, reaching up and back. 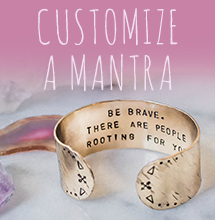 Exhale to fold all the way forward as you chant “YAM” (pronounced YUM), the bija mantra for the heart chakra. Continue to flow with your breath for at least 10 complete cycles. Let yourself find a rhythm and find softness through the face, the knees, the heart, as you move. After your last exhale, hold in your favorite version of forward fold for a few more breaths. When you feel complete, inhale to roll up through your spine and find mountain pose with your arms at your sides. Create a stable foundation by grounding down through your left foot, pressing into all four corners of the foot and through each of the toes. Bend your right knee and take the ankle into the right hand behind you. Inhale to lift your left arm over your head. Feel free to stay here. If you’d like to go deeper, use your next exhale to slowly kick your right foot back and hinge forward at the hips, opening your heart and your right hip flexor. Stay here for at least 10 breaths. 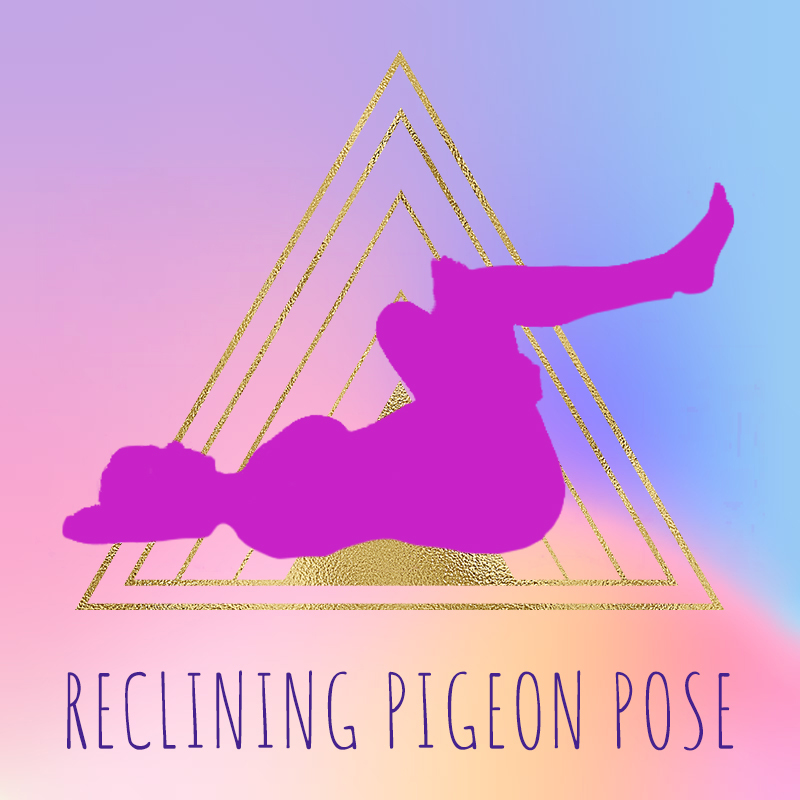 If you find yourself feeling unsteady or falling out of the pose, practice talking to yourself in a loving way and come back into the pose without judgment! After ten breaths or whenever you feel ready, use an exhale to release everything back down and take the post to your other side. From mountain pose at the top of your mat, fold forward and step back to downward facing dog. Inhale to shift forward to plank and exhale to either lower halfway or lower all the way onto the belly. 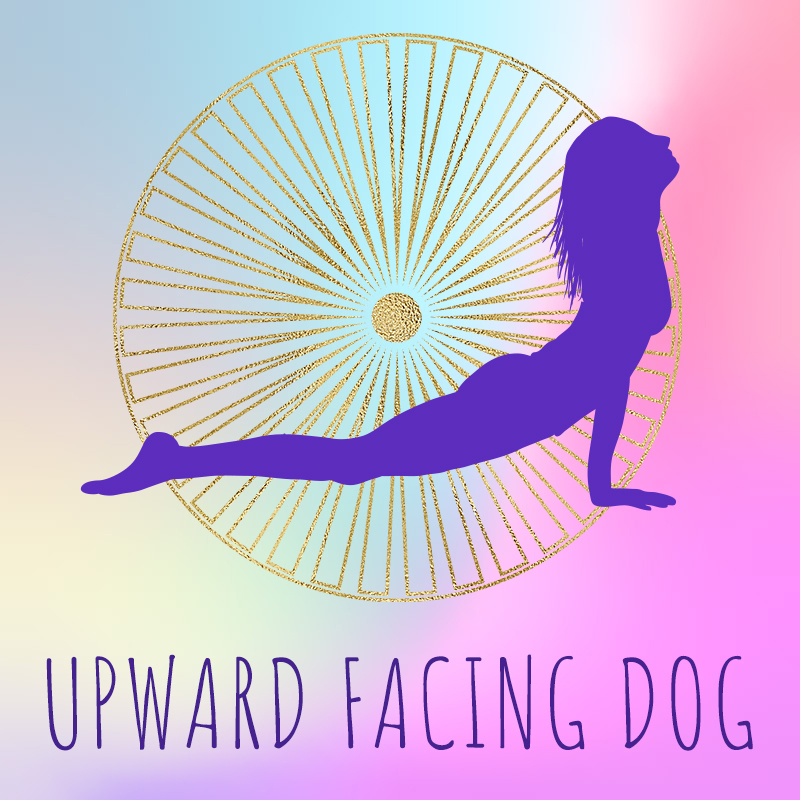 Inhale to lift into cobra or upward facing dog. Stay here for a few breaths, rolling the shoulders back, pressing into the tops of the feet, and firming through the legs. After a few breaths, exhale to shift back to downward facing dog. Repeat this sequence one to three times, then stay in downward facing dog for a few breaths. Inhale to lower your knees, and exhale to shift your hips back into your favorite variation of child’s pose. Let this child’s pose be a place of deep presence with yourself — with your breath, with any feelings or thoughts that are coming up to the surface. Practice speaking to yourself lovingly and tending to yourself with care. Stay here for about twenty breaths. From child’s pose, inhale to lift yourself into tabletop. 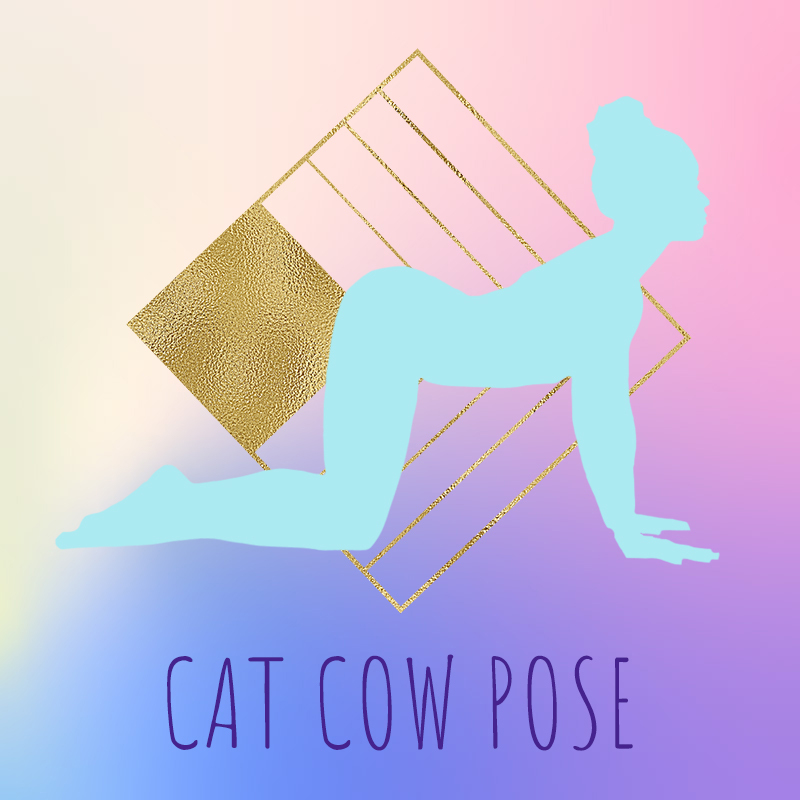 Start to move through a cat/cow flow with your breath, using your inhale to lift your tailbone and open your heart, and your exhale to round through your spine and tuck your chin. Feel free to add in any other movements that feel good to you, like opening up through the sides of your body or incorporating hip circles. When you feel complete in cat/cow, find your way back to a neutral spine. Start to walk your palms out in front of you, keeping your hips stacked over your knees, slowly lowering your chest and forehead all the way to your mat. This intense pose invites us into a place of deep surrender. 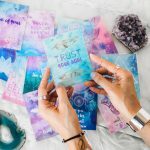 Keep your awareness on your breath, sending it into your heart space, and let yourself be with whatever comes up here. Stay here for at least 10 breaths, but feel free to stay longer if that feels right for you. Slowly shift back into tabletop and all the way onto your back, bending your knees and planting your feet on your mat. Inhale to slowly lift your hips and lift your arms all the way overhead, backs of palms touching down behind you. 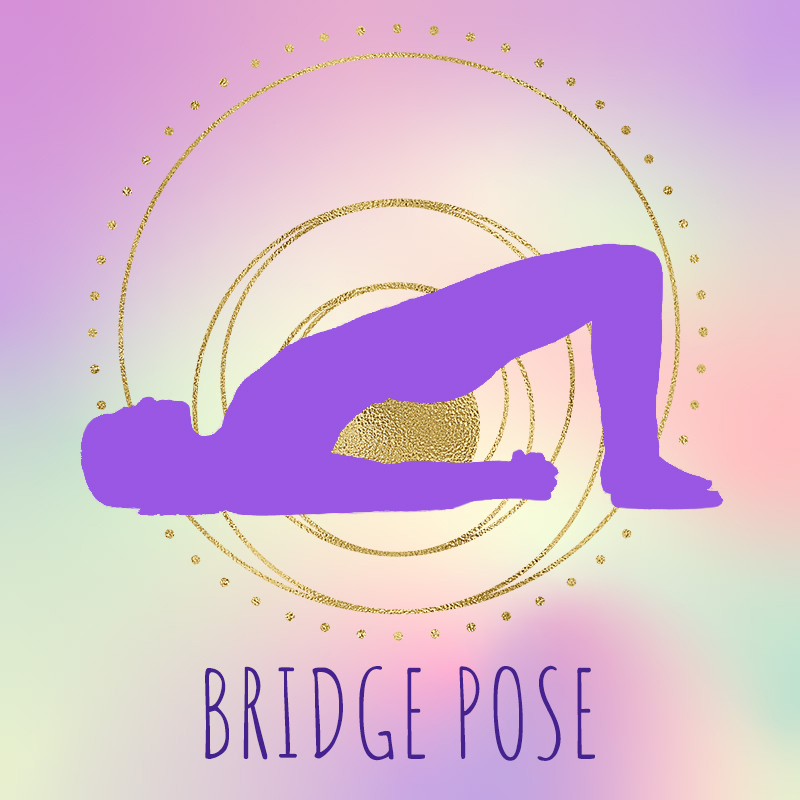 Breathe here in this bridge pose variation for 10 breaths, using an exhale to slowly lower your hips and arms back down. 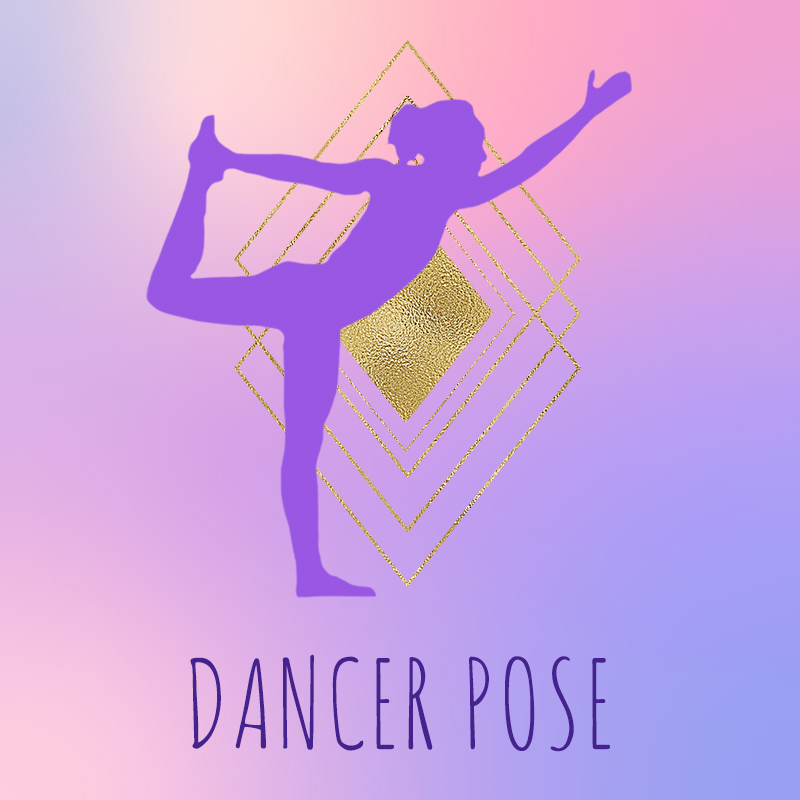 Find a counter pose after you come down by walking your feet wider than hip’s distance and releasing your knees to rest in on each other. Place your palms on your belly and rest here for 5-10 breaths. 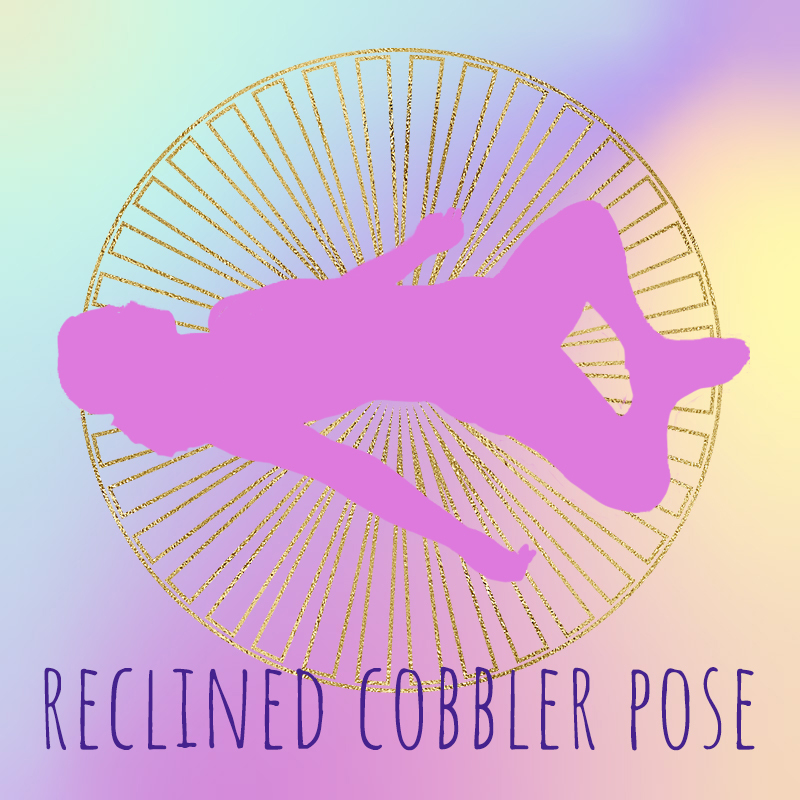 Find your savasana in reclining cobbler’s pose, bringing the soles of your feet together. Rest one palm on your heart and one palm on your belly, letting yourself rest, relax, and integrate the benefits of your practice. Stay here as long as you like, but make sure you let yourself spend at least three minutes here. 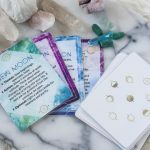 Want more support for your heart chakra? 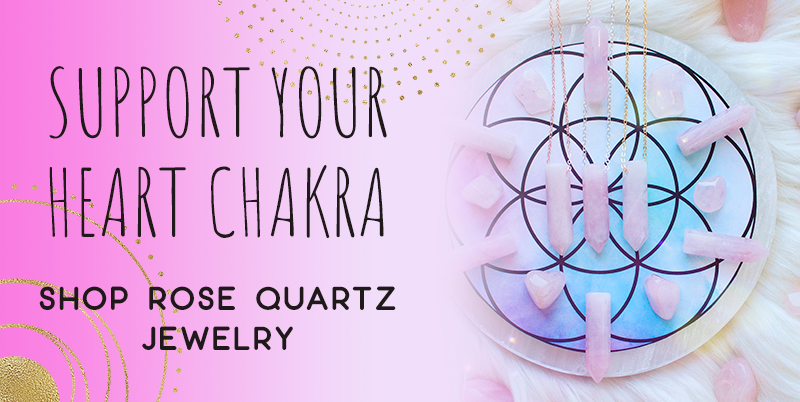 Click here to customize a rose quartz crystal point necklace.